Mighty Nish Band – Omaha, Nebraska & Iowa’s party music wedding receptions, private, corporate parties, street dances & concerts. The Mighty Nish Band has performed for countless of wedding receptions around Omaha, Nebraska and Iowa. 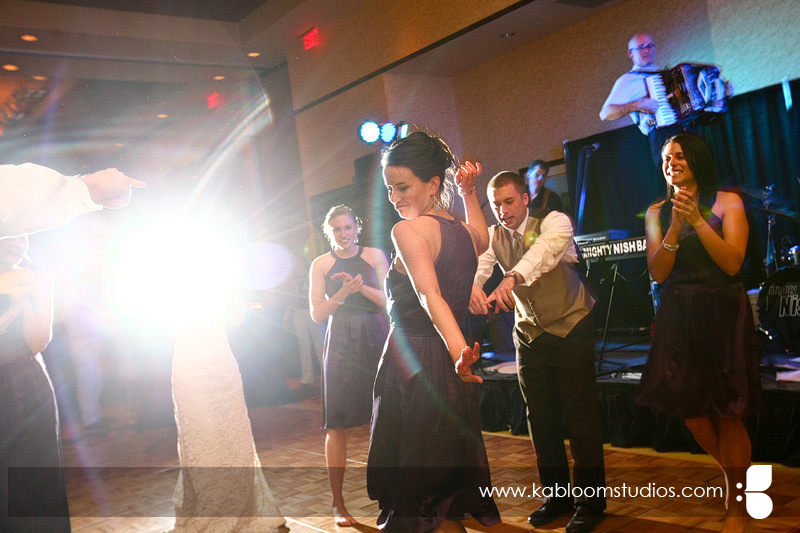 Below are several things to consider that may help your wedding reception run smoothly and keep people entertained. Announcements / Introductions. We recommend having someone you know (who is a good speaker) make introductions and announcements. It is a way of including other special people in your reception. Also, that person is known by you and your guests – they would like to hear them talk. If you would like the band to do the announcements and introductions a typed script is required. This should have all announcements with approximate times and all names in the correct order. Prior to introductions, someone will need to go over the name list for correct pronunciation. Let us know if you have a special idea for your entrance and introduction. We have ideas if you need them. Band Location. If the reception venue is rectangular shaped it is usually better for the band to set up on the smaller side or in a corner than on the long side of the room. If there is any question please ask the band. Recorded Music. We have recorded music to play during dinner and band breaks to keep people dancing. If you want to use your own Ipod, make sure it is charged. Also, make sure you have high quality copies of the music by buying the songs or ripping your CD’s at as high quality as possible. Poor quality recorded music is very noticeable when played through our large sound system. Toasts. Make arrangements to use the venue’s microphone or the band’s microphone. If using the band mic, it is best to have people stand where the band is set up. Please ask people who are speaking to hold the microphone about 2 to 4 inches from their mouth. Releasing Tables. Make arrangements for someone to release tables for the buffet. A family member may want to do this to talk to everyone. Otherwise, the caterer will usually do this. Tables on the dance floor. If there are tables on the dance floor assign someone to remove them before the first dance. Dance. If you want your guests to dance, plan on doing some dancing. Have fun. The hard part is over so relax and cut loose. This is your party and you should be the one having the most fun. If you have fun – everyone will have fun. Video. To keep your guests entertained, it may be a good idea to play your video during dinner, when people are waiting to go through the buffet, or before the wedding party arrives at the reception. If your video has sound, make arrangements for it to be connected to the venue sound system or the band sound system. Keep the party going. Have the band start earlier before people get tired. Song Selection. Keep an open mind about the songs that may be played at your reception. It is good to inform the band if there are a couple songs that will ruin your evening if played. However, an extensive ‘do not play list’ could make it difficult for the band to get people up out of their seats. Communication. If you have any questions please ask the band. Maybe we can make your planning easier.